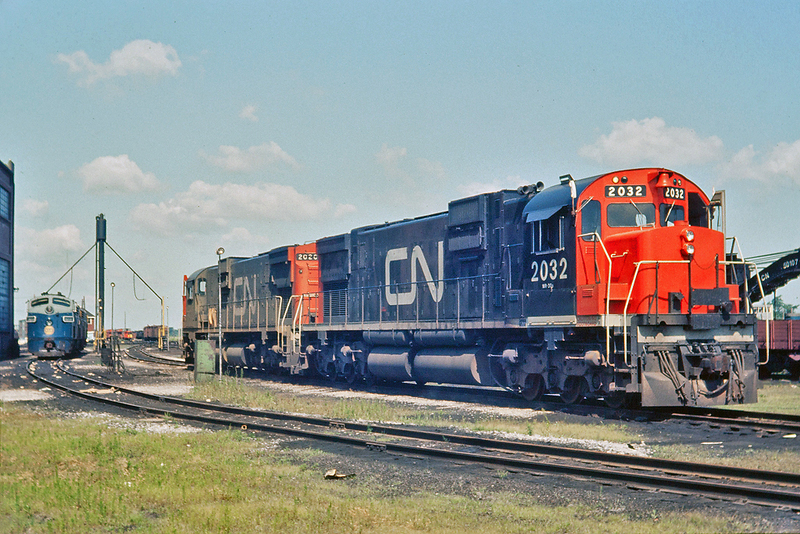 Railpictures.ca - DaveBurroughs Photo: A pair of “Big 6′s” idling outside the Fort Erie shops. The quite familiar N&W A-units are there as well. The 2032 and 2020 are part of an order of MLW C-630M’s that were built in 1967-1968. | Railpictures.ca – Canadian Railway Photography – photographie ferroviaire Canadienne. Copyright Notice: This image ©DaveBurroughs all rights reserved. Caption: A pair of "Big 6's" idling outside the Fort Erie shops. The quite familiar N&W A-units are there as well. The 2032 and 2020 are part of an order of MLW C-630M's that were built in 1967-1968.